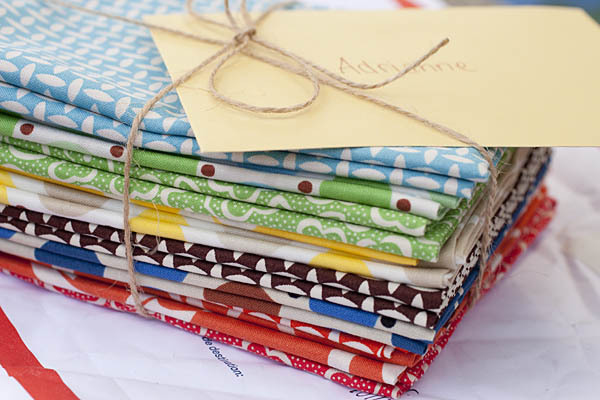 A little stack of happiness arrived from Kaelin of The Plaid Scottie. I really like reading Kaelin's blog. She inspires me, she makes me smile and sometimes... she makes me hungry. There is always something fun going on. Last week she was celebrating her blogiversary and I lucked out with this fat quarter stack of Katie Jump Rope. Woo-hooo!!! Hop on over to see what she has in store the the Doll Quilt Swap. It's going to be so cute! Congrats! :) Love the Lord of the Rings reference, too! nice win. :) looks like fun.